1. Remove and discard skin from the chicken. 2. 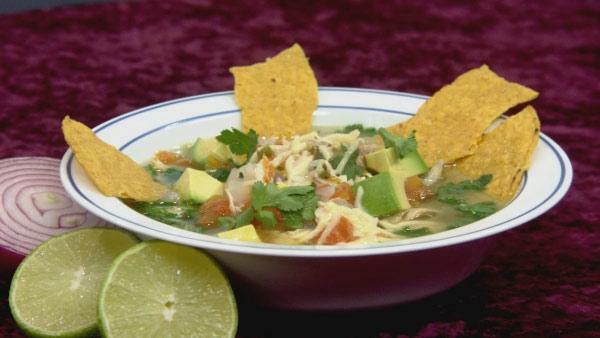 Shred the chicken meat and add it to the broth in a saucepan, along with the onion, jalapenos, and tomatoes. Cook over medium heat and cook until boiling. 3. Add corn and heat until warmed through, about 3 minutes. 4. Place some of the tortilla chips in each of 4 bowls. 5. Ladle in the soup and top with cilantro, avocado, cheese and remaining chips. 6. Serve the lime wedges on the side. For more information on Cindy and Ernie and their gluten-free recipes, and their travels, check out chiangcw.blogspot.com.